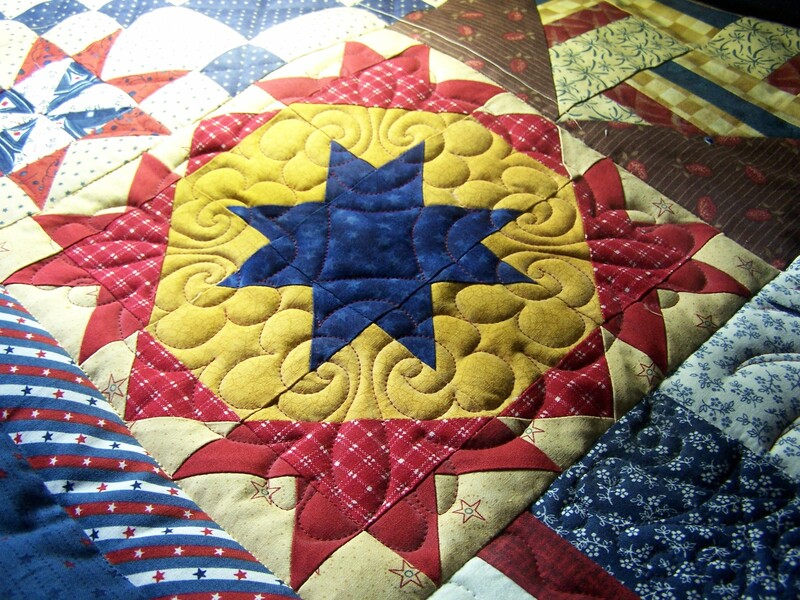 WOW – really beautiful piecing, color selection and Quilting! Nicely done! 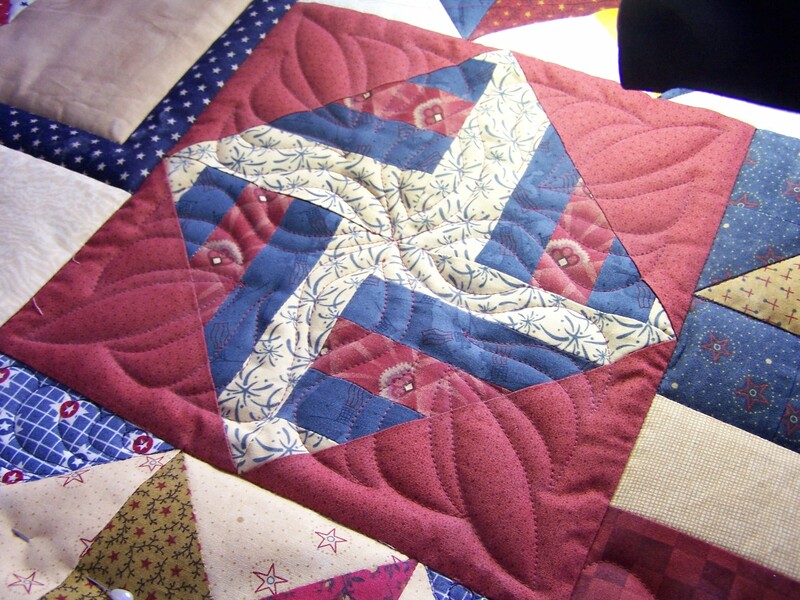 A nicely eclectic grouping of patterns, Randi. 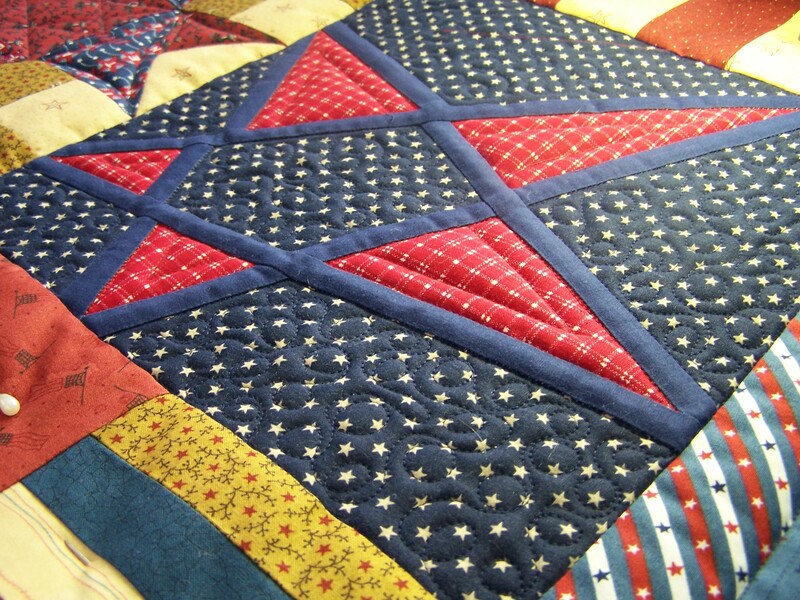 I really, really like this quilt! What type of batting are you using? Thanks for the photographs. 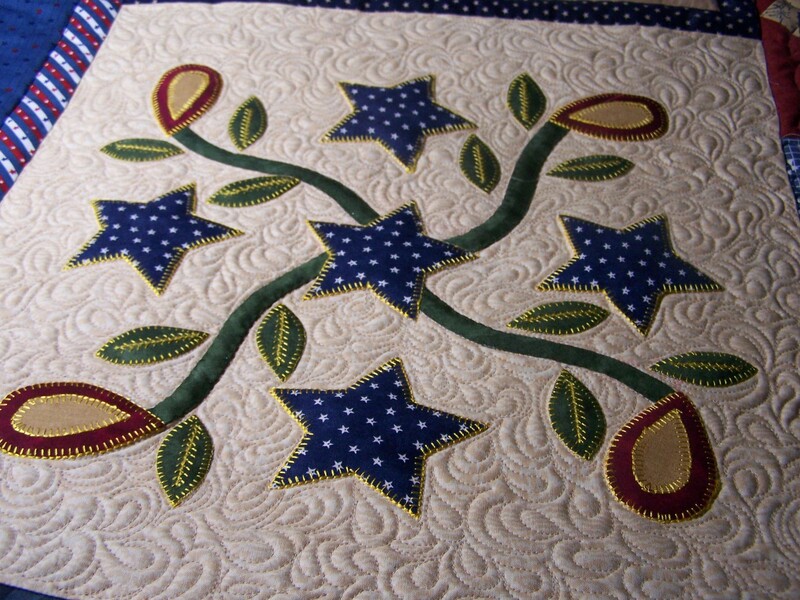 I enjoy seeing your quilting. 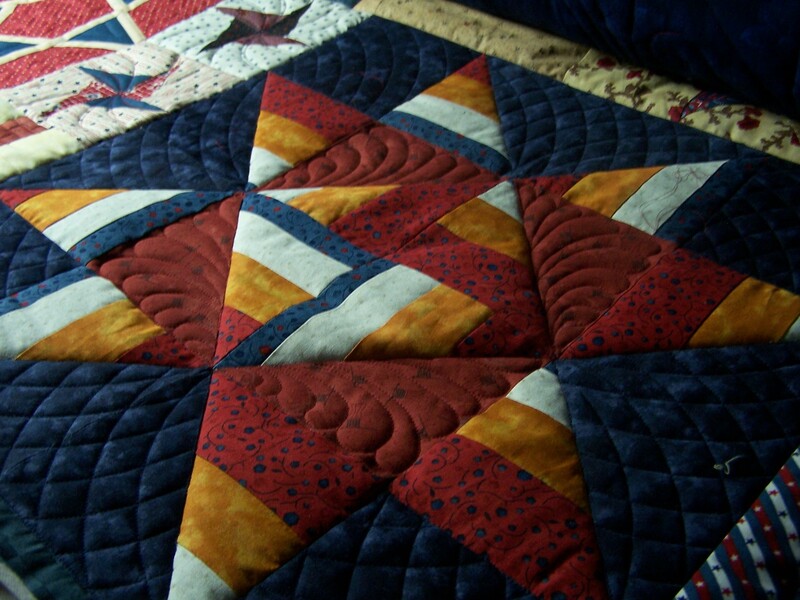 You are doing a wonderful job of selecting patterns/motifs for each block. 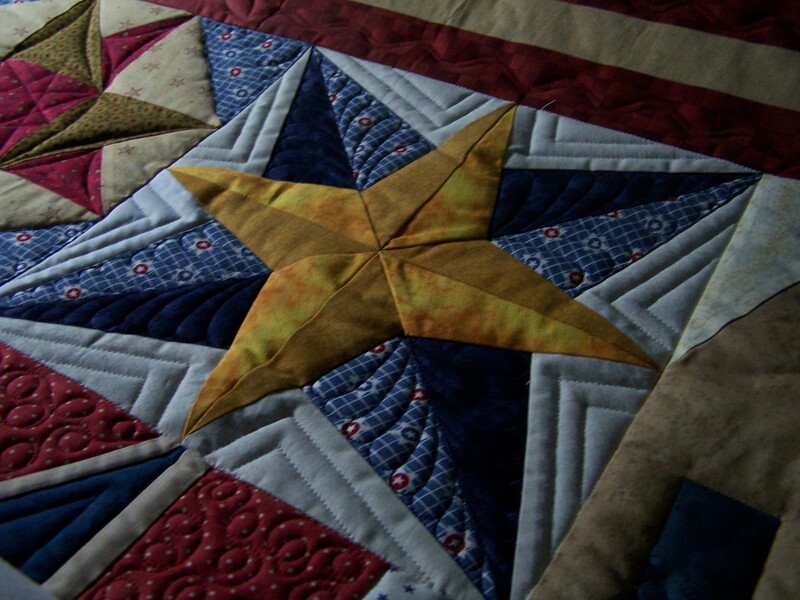 I especially like the quilting on the pieced block with the gold around the dark blue center star. It all looks very nice. Really nice job. 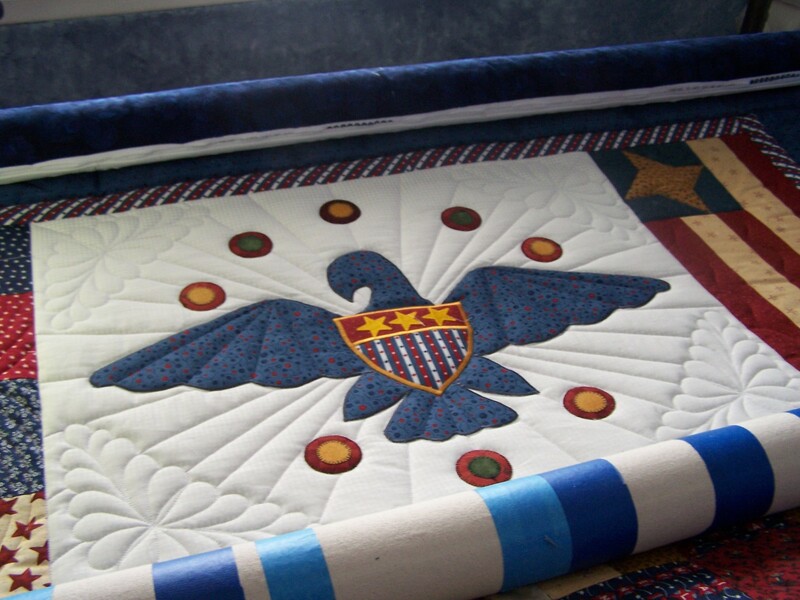 Like all the different quilting elements you’re using. Can’t wait to see it finished. Looking good Randi!! What thread and batting are you using? There is a lot of definition so I suspect it might be double batted? 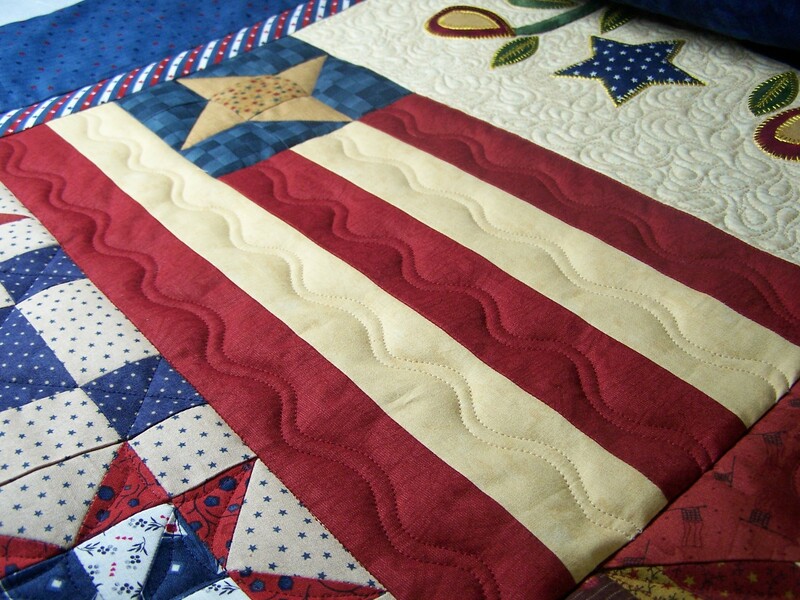 I love it seeing what you are doing with this quilt… Awesome! Very nice Randi, I love it! 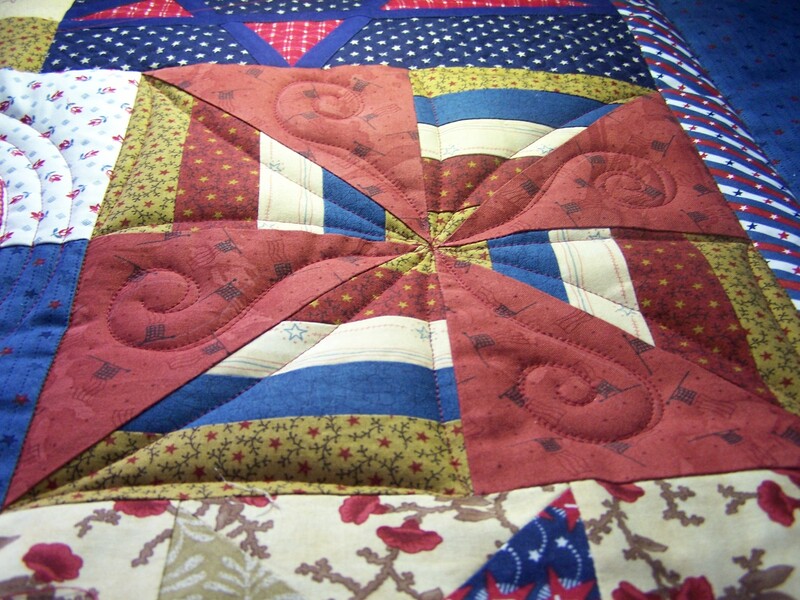 I love the quilting, color and patterns! 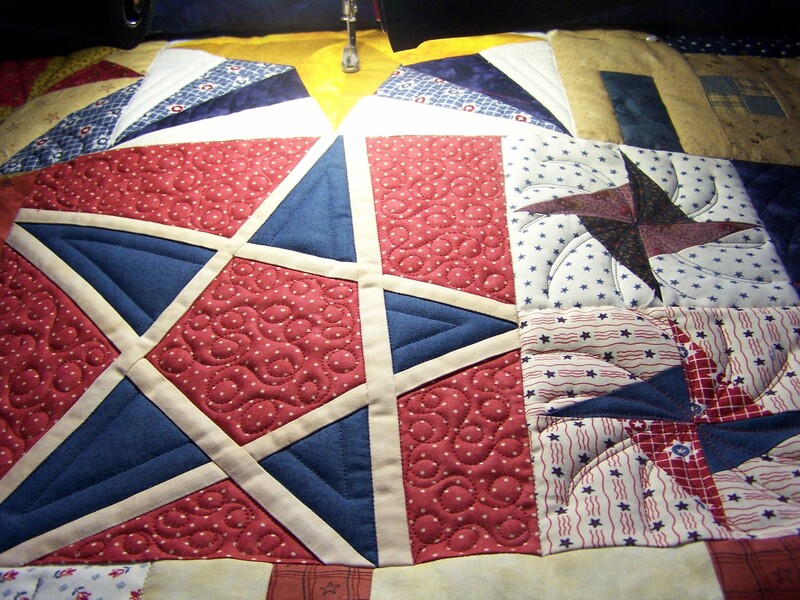 I need to start quilting again. 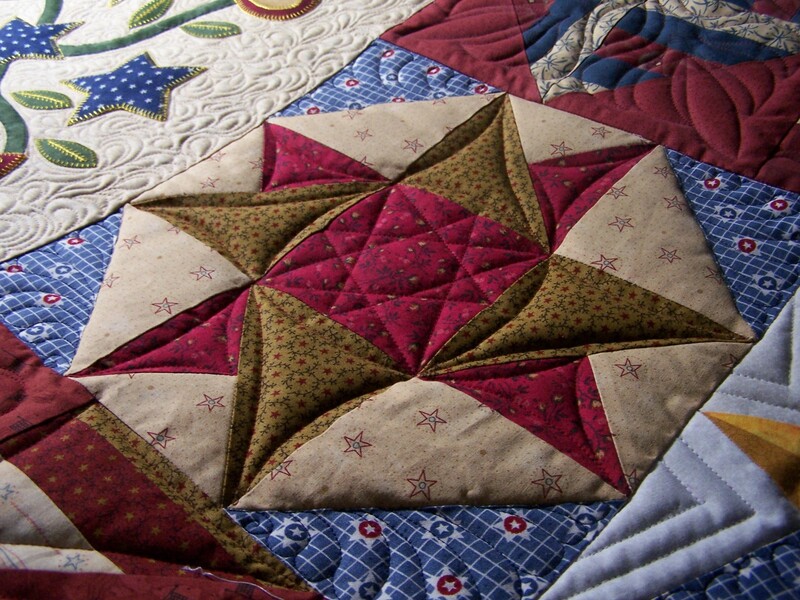 What a great way to quilt a sampler– love it! « Working on a fun one!